Media reports yesterday that the government has received two 'confidential' reports that link channel deepening to coastal erosion in the south of Port Phillip Bay and the loss of Portsea front beach are no surprise to locals or others who have been watching the changes in the south of the Bay since the channel deepening project ended, Sue Pennicuik, Greens MP for Southern Metropolitan Region said today. Read more: Beach loss linked to dredging -- Reports say wave surges hit Portsea. by Cameron Houston in the Age of 7 July 2013. The entrance to Port Phillip Bay, is recognized as one of the most difficult and dangerous port entrances world-wide. The often unpredictable cross currents in the entrance, at times exceed rates of 8 knots and flow diagonally across the Great Ship channel in two opposing directions, simultaneously. Frank Hart, former Harbour Master of the port of Western Port and Hastings shows that no account of the entailed risks were included in the business case used by the Victorian Government to justify its unpopular, costly and environmentally destructive channel deepening project. See also: www.bluewedges.org and http://www.badevelopers.green.net.au. 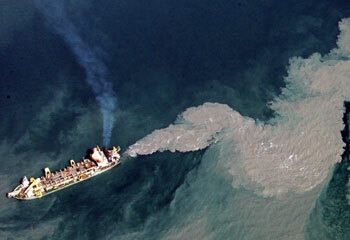 Where is the Regulator to protect Port Phillip Bay from rising pollution? Greens: "Which agency is pursuing the dredging company and the Port of Melbourne for polluting Port Phillip Bay?" Read more about Where is the Regulator to protect Port Phillip Bay from rising pollution? “The dredging of toxic sediments from the Yarra River should stop until an investigation is carried out into the discovery of dead fish floating in the water at Newport on Saturday”, Victorian state Greens MP, Sue Pennicuik said. The Australian Conservation Foundation claims sediment plumes from bay dredging in Victoria may be worse than predicted. Whilst former President of the Australian Conservation Foundation Peter Garrett, now Federal Minister against the Environment looks the other way, primary school children petition the Victorian Government to stop the destruction by dredging of the pristine marine environment at Port Phillip Heads. Operation Quarrantine is organising a land and sea protest on Saturday 5 April to prevent the destruction of the pristine marine environment at Port Phillip heads. Murdoch's Herald Sun puts pro-dredging spin on its coverage of the Blue Wedges court challenge against dredging. Recreational fisherman Trevor Buck says the claim by the Port of Melbourne Corporation echoed by Murdoch's Herald Sun newspaper "that water is now clearer at Rosebud than before the $1 billion project began" is rubbish. The Port of Melbourne Corporation has agreed at a Federal Court hearing on 6 February to delay the dredging of toxic sediment from the mouth of the Yarra River, and, instead, until after the case is heard in the Federal Court on 20 February, limit its operations to the less damaging dredging of clean sand from the south channel. Blue Wedges has won the right to challenge Mr. Garrett's decision to approve the channel deepening project in a full Hearing of the Federal Court on 20th February. Blue Wedges, which is campaigning to prevent the destruction of the pristine marine environment beneath Port Phillip Bay scheduled to commence as early as Friday 1 February, rejects an assessment by US Naval Intelligence agency which lists their group alongside Somali pirates, Peruvian raiders and Gulf terrorists. Blue Wedges needs money to mount a legal challenge to save the marine wonders beneath the entrance to Port Phillip Bay from the threat of channel dredging.